Bring back the 80's retro style with this women's cropped USA Hockey crew pullover. Made from 76% rayon/20% polyester/4% spandex for a super-soft lightweight touch french terry feel. Comes in S - XL. Gear up for gameday with this USA Hockey® Game Day Women's jersey, perfect for supporting your team and staying warm. Size S-XL. Represent the best women's hockey team in the world by wearing this jersey style hoodie. Decorated with the Arc & Star logo on the left chest. Sizes S-XL. Show your USA Pride with this vintage style USA Hockey ladies tee. Decorated with distressed Hockey 37 on the front and the USA Arc & Star logo on the hip. Sizes S-XL. Let all your friends know who you are on the ice! This exclusive USA Hockey ladies contains the graphic "Ice Queen" with the USA Hockey Wave logo. Sizes S-XL. Make a statement. Show your USA Pride! 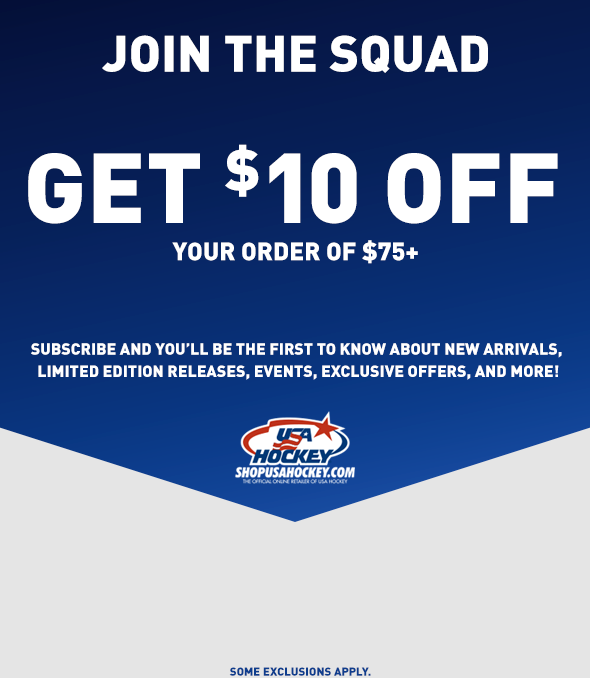 This Womens game day features the USA Hockey logo on the front and USA on the back. Athletics design. Womens cut. Size XS-XL. 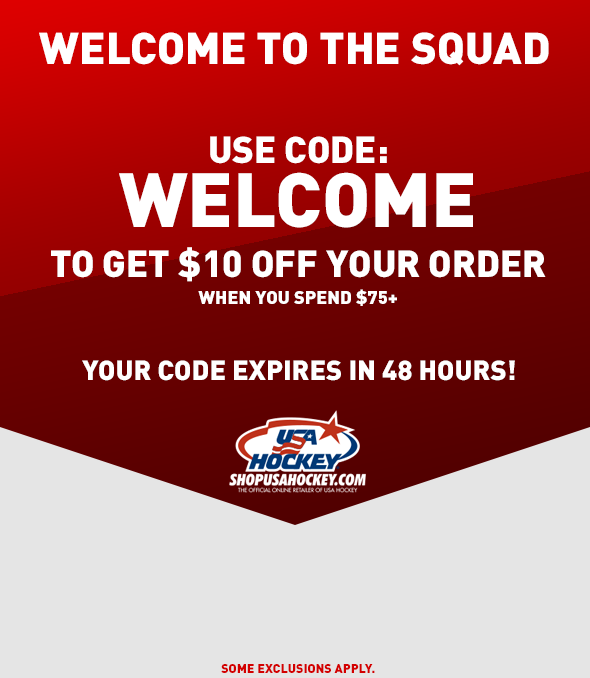 This Womens t-shirt features simple USA Hockey logo in silver foil print. Womens cut. Size S-2XL. This Womens t-shirt features a v-neck front with a simple USA Hockey Athletics design and the Wave logo. Womens cut. Size S-2XL.